Meyer Lemon Designs: Getting excited for my custom designed b-day gift! Getting excited for my custom designed b-day gift! Totally excited about my birthday gift from my husband this year! 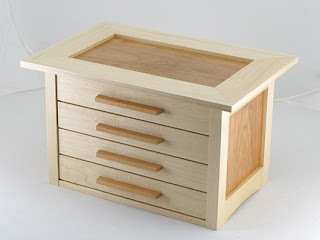 Here's some pics of the custom designed jewelry box from KRT Wood. 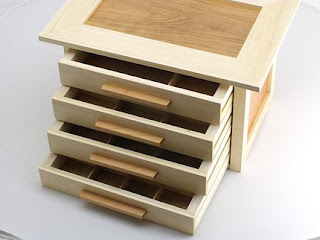 Beautiful jewelry box. It will look gorgeous on your big, unique wood dresser same color as handles. The jewelry box is cute and the color is great! Very attractive! Made by hand. By Me! Featured on Etsy's Treasury Again!